Finally feeling a bit human this weekend, I was able to get creative. 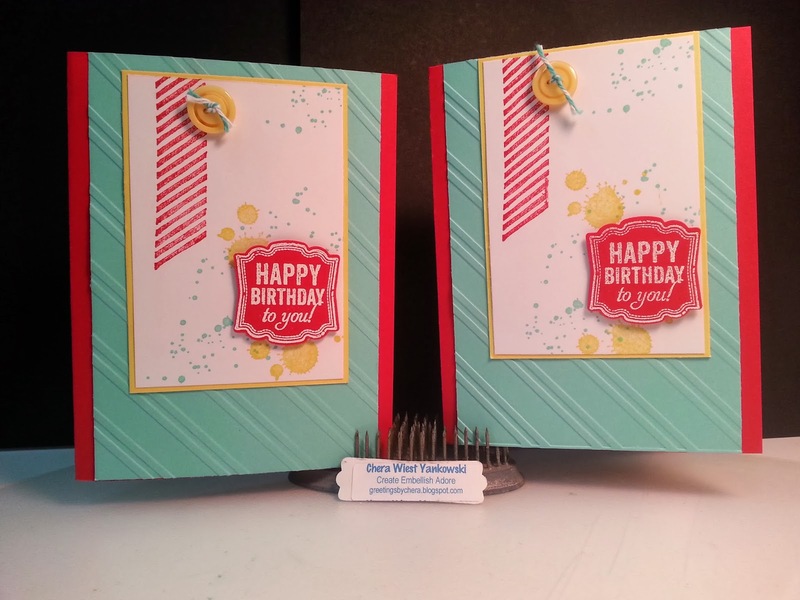 Of course I really needed birthday cards so I inked up Label Love. 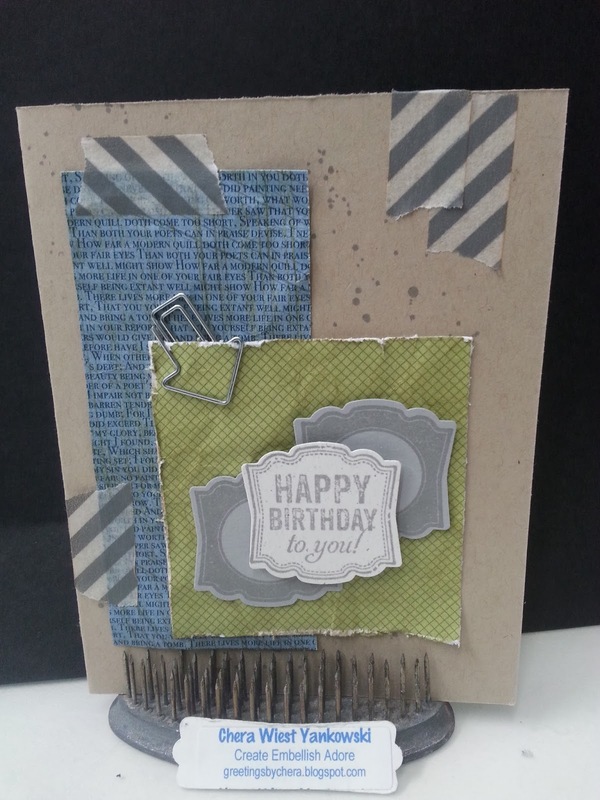 I used some scraps for this more masculine look card. 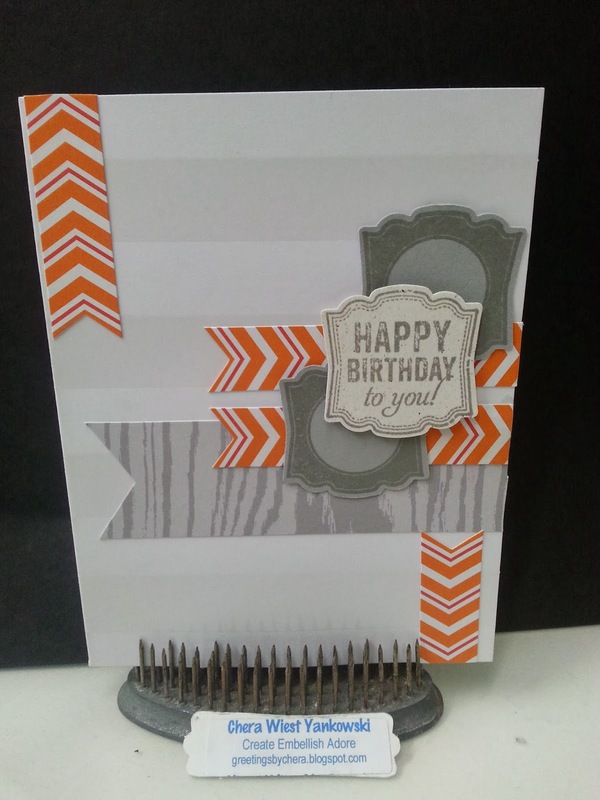 And last, orange and grey for a fun bright card.